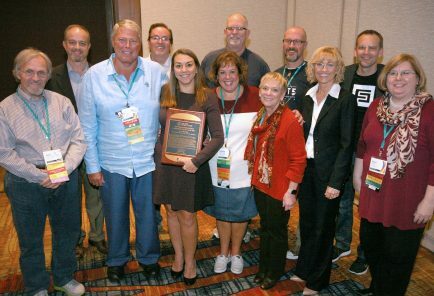 Since 1960, the Dow Jones News Fund has selected one outstanding high school media teacher or adviser each year as Teacher of the Year. 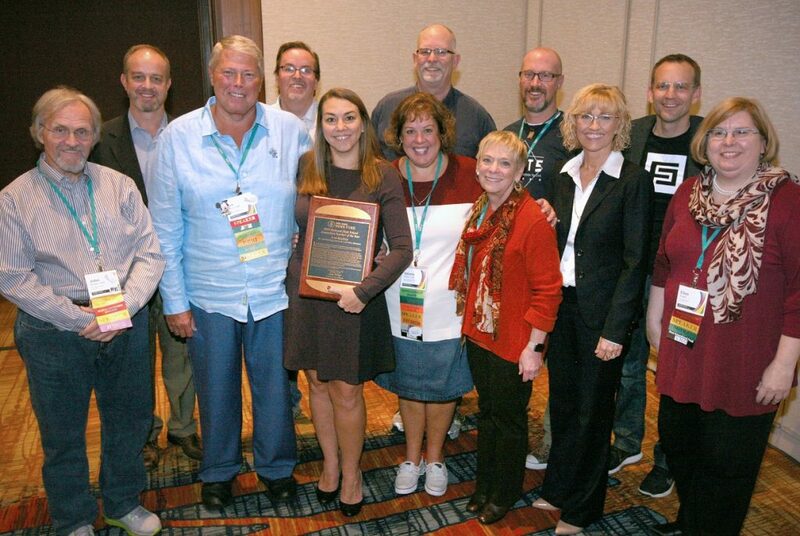 The award recognizes a high school educator who teaches innovative media techniques, mentors students to produce award-winning publications and encourages young journalists to consider media careers. Click here for a list of previous winners. Today, the Columbia Scholastic Press Association is the primary sponsor of the award and DNJF is a co-sponsor along with The Poynter Institute for Media Studies and The Wall Street Journal. Visit the CSPA website to learn more. 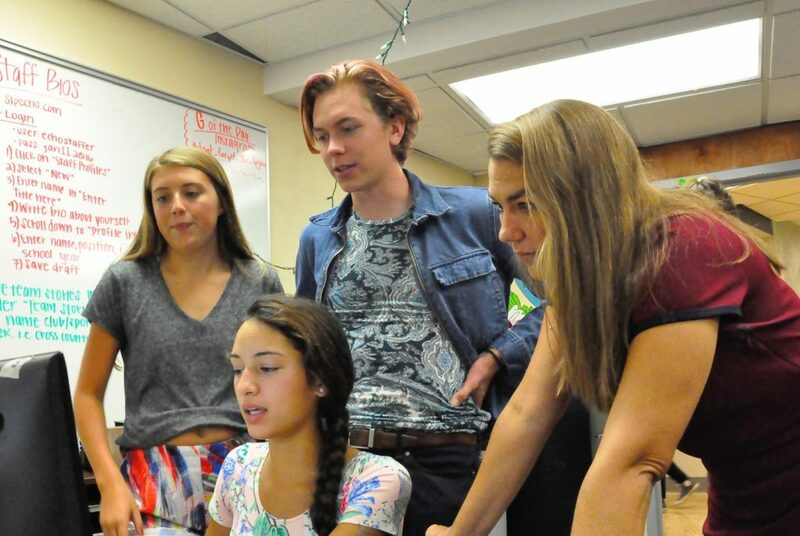 DJNF publishes a free quarterly, digital magazine for high school media advisers written by high school media advisers to learn about the latest innovations in journalism education. Click below to learn more about Adviser Update and to read the latest issue. Interested in writing for Adviser Update? Pitch ideas to heather.taylor@dowjones.com. Each year, DJNF and The Wall Street Journal award several free digital subscriptions to WSJ.com for selected high school teachers who want to incorporate the publication into their curricula. Sign up for the Dow Jones News Fund email list to be notified of the next WSJ.com subscription contest for high school educators. 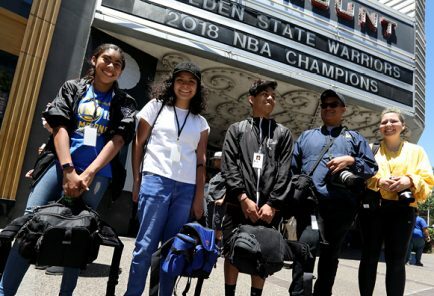 The Dow Jones News Fund invites hosts of Summer High School Journalism Workshops to submit proposals for funding by March 8 at 5 p.m. EST. 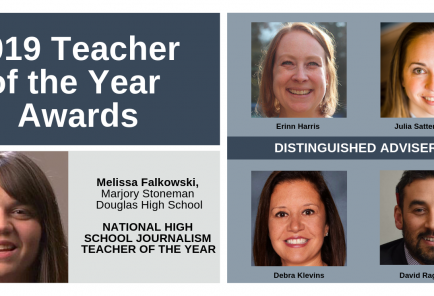 Melissa Falkowski, a journalism teacher at Marjory Douglas Stoneman High School at Parkland, Florida, has been named the 2019 National High School Journalism Teacher of the Year. The National High School Journalism Teacher of the Year Awards program is managed and sponsored by CSPA and co-sponsored by DJNF and others.